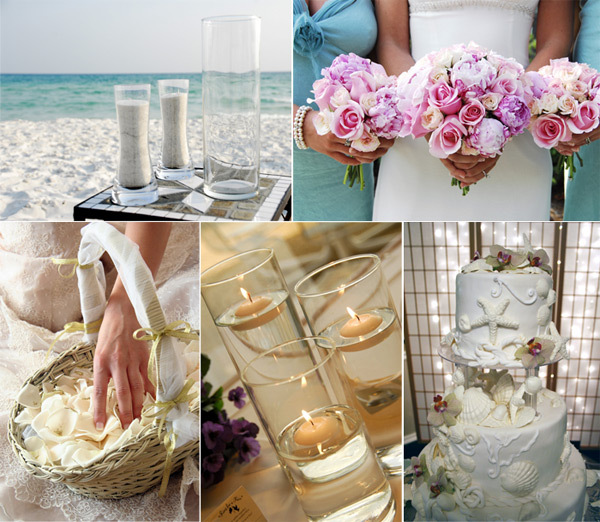 Planning your wedding, you want your day to be special. Do you want your wedding to be different and unique. Keep reading for the Top 5 Themes. This is one of the top wedding themes. Having an Oscar's Night theme is an opportunity for the guests to dress up. Black Tie, evening elegance. The guests become involved, being presented with "Oscar's", this is a perfect opportunity to have fun. Different categories, best father in-law or mother in-law. An opportunity to involve all the guest and create a fun. 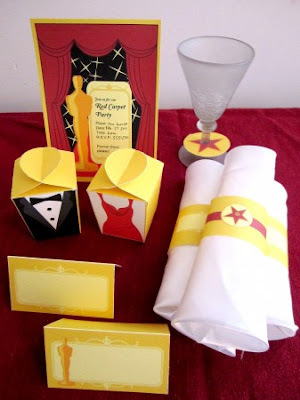 The marriage favors can complement your Oscar Night Theme. Mini champagne bottles, silver photo frames etc. No. 2. Vegas Or Casino Night. Vibrant and full of energy, lighting and back drop is important, rent the film Casino Royal to get ideas of the setting. 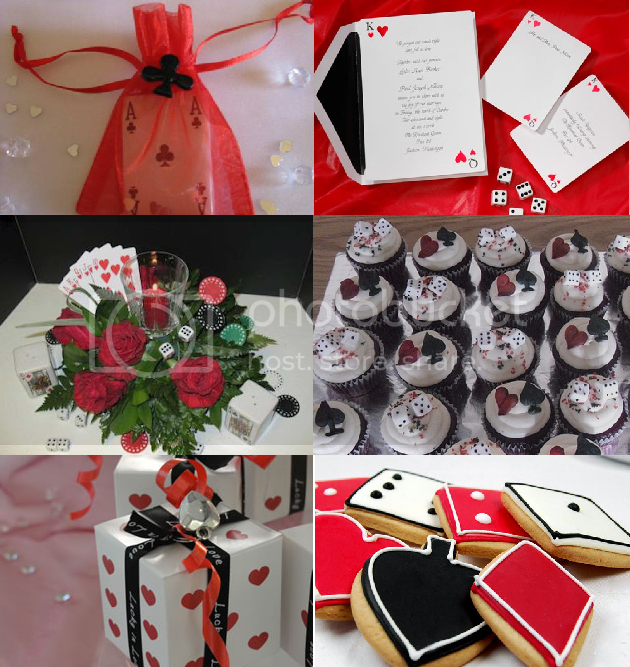 This is an elegant wedding theme, unique wedding favors could include personalized playing chips, playing cards, luggage tags or bottle stoppers. 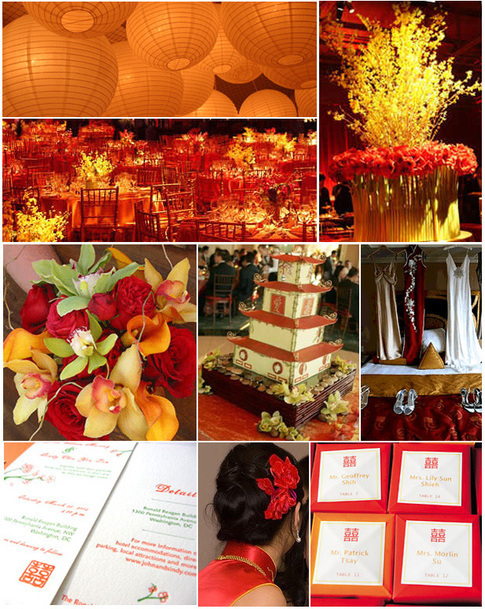 The ideas of are endless onside you choose a wedding theme you love. Create an exotic and colorful wedding theme incorporation the lavish colors and texture in the wedding favors, the table dressing and the back drops. Fragrant exotic flower creating arches. Stunning colorful dresses, magical music. Unique wedding favors could include candles, soaps, exotic charms, tea light holders, tiny photo holders. Perfect if you are guaranteed sunny evening, tables and chairs out, lanterns and tea lights dressing the tables. Imagine A Lu Out or beach party. Barbeque's, roast pig on a spit, cocktails, bongos. limbo bomb fires. 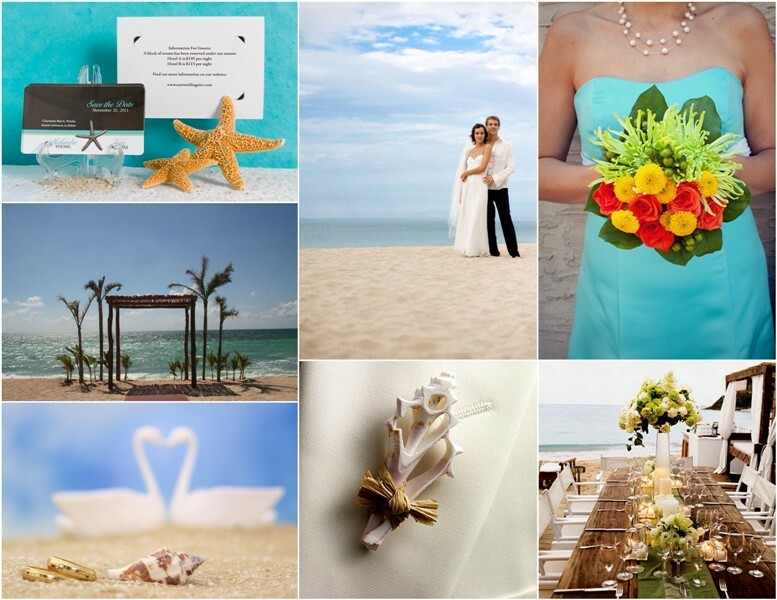 Create this beach wedding theme indoors with lighting and beach music. Unique wedding favors, mini bongos, candles, fruit shaped soap. bamboo coasters, etc. No 5. Sports Wedding Theme. No matter what sports the bride and groom are passionate about they can incorporate it in to a wedding theme. Wedding favors reflecting the sport. If your theme is golf you could decorate with items from that sport. Wedding favor could include personalized golf balls or tees. mine basket balls or base ball hats. Hopefully these ideas will inspire to have the wedding of your dreams.